Dr. Jerry W. Robertson was raised in Pocola, Oklahoma. He received a Bachelor of Science degree in Biology from Northeastern State University and then attended University of Oklahoma College of Dentistry where he graduated with honors in 1997. After graduation, Dr. Robertson accepted a residency position at the University of Oklahoma specializing in Advanced Education in General Dentistry. 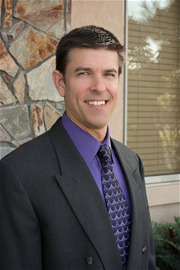 Dr. Robertson believes in providing dental excellence and gentle dentistry for each of his patients. Dr. Robertson was recognized as the leading dental practitioner in Oklahoma for restoring dental implants. He is a member of the American Dental Association, Oklahoma Dental Association and a member of numerous other professional study clubs.